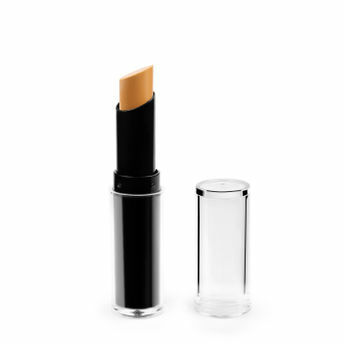 Makeup For Life Concealer Stick is every makeup lover's favorite all-purpose Wonder Stick that has a creamy finish that conceals, highlights and contours with ease. The Wonder Stick is available in six different shade combinations to fit every skin tone, including one universal shade. With this dual-ended highlight and contour stick you can add depth and definition to facials features. Get this one as a must-have in your vanity! Additional Information: Make Up For Life is a well known cosmetic brand offering high end professional makeup products at affordable prices. Available in amazing shades and high-performance formulations and textures, the brand brings wide array of cosmetics that enhance your daily makeup looks. Alternatively, you can also find many more products from the Make Up For Life Concealer Stick range.